The Chinese Taipei Football Association have posted that Taiwan's vital Olympic qualifier will be shown live on YouTube via the Qatar Football Association's channel. Taiwan's women play their final second-round Olympic qualifying match tonight against Iran, and they have to win to go to the next round. 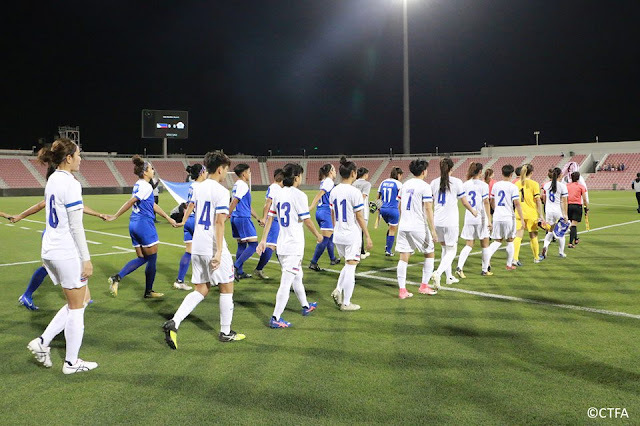 Both Taiwan and Iran have won their first two matches, but Iran has the far superior goal difference, so if the match ends in a draw, Iran will go through because of that. Taiwan's women have done very well over recent years and deserve all the support they can get, if they get to the final round, it is a wonderful achievement and it means they are only one round away from the Olympics. The match kicks off at midnight Taiwan time.